you will all the information you’ll need to make the right decision. Not sure which type of life insurance is right for you. Confused by the different types of cover available. Let us guide you through the options available to you? subject to status and availability. Looking for independent, honest advice? Welcome to Prichard Mortgage Services, one of the leading independent mortgage brokers, where we specialise in providing you with quality, professional mortgage advice that you can trust. With over 25 years’ experience, our key aim is to save you money and time to find you the best deal. We have access to the whole of the mortgage market, including many exclusive deals unavailable on the high street. Whatever your mortgage requirements, we can help you, so give us call today. Whether you are a first time buyer, want to remortgage or it’s your first house move in years, we can guide you through the process and manage your mortgage application from start to finish. The right protection policy is critical and can provide for you and your family if the inevitable should happen. We can help you tailor a package suitable for your needs and within your budget. Looking to accommodate an expanding family or your first time on the housing ladder? 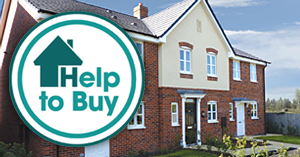 The Governments’ new Help to Buy scheme could help you secure a new home with just 5% deposit. Available through a selection of lenders, call us today. I have been a client of Prichard Mortgages for a number of years now and they have always been really helpful and supportive and explained every stage of the mortgage process to me. The service is excellent and Mr Prichard is very knowledgeable and helpful. He has excellent market knowledge and was continually liaising with all parties throughout the process ensuring all documents were received and agreed as quickly as possible. He made me feel at ease throughout the whole process and nothing was ever too much trouble for him. I certainly couldn’t recommend him enough if you want the stress and hassle taken away from you. He will take care of everything from start to finish in the quickest and most efficient time possible. There may be a fee for mortgage advice. The precise amount of any fee will depend on your own circumstances but typically will be £290.